A Solicitor’s application must be completed; there is a $50.00 (non-refundable) application fee, per application, that must be paid at time of application submission for each solicitor (one solicitor per application). An unexpired photo ID from each applicant is necessary for application to be processed. Permit application is given to the village clerk for processing and approval. 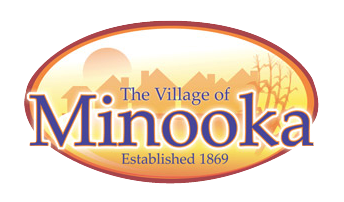 The Minooka police chief may also have a part in the approval process. A background check is completed through the IL State Police. After background check results have been received the village clerk and/or police chief will review and either approve or deny the permit. The applicant will be given a phone call at the phone number listed on the application for notification. Once approved, permits can be obtained for thirty (30) days or twelve (12) months. The thirty (30) day (non-refundable) permit fee is $50.00, per solicitor and the twelve (12) month (non-refundable) permit fee is $200.00, per solicitor. Permit cards are issued, naming the specific thirty (30) days to be used or twelve (12) months, which ever has been paid for. Each solicitor must keep this card on their person while soliciting and present it when asked to do so. Proof of insurance and registration for vehicle being used while soliciting (those soliciting in groups may use the same vehicle). Copy of business identification if one is available. If State license is necessary for type of business, a copy of that is also needed. The same application is used as above. A $50.00 filing fee, per application, is charged and a background check performed as listed above. A certificate can only be issued for the dates the county health department has approved. Proof is required. The fee for a Vendor Certificate is $100.00 and expires each December 31st of the year in which the certificate was received, no matter of date received. Copy of the County Health Department permit. Proof of insurance and registration for vehicle being used while soliciting. If State license is necessary for their type of business, a copy of that is also needed. Brief inventory of products available for sale. IL State Sales Tax Number (IL Dept. of Revenue). Surety Bond equal to 50% of the wholesale value of inventory at any given time ($1,000 minimum – $10,000 maximum).